Cairo, Egypt; April 24, 2018 – After a successful first edition, El Gouna Film Festival is pleased to announce that submissions are open as of April, 24 for feature narrative and feature documentary film projects in development as well as films in post-production for the second edition of the festival’s CineGouna Springboard with the deadline for submission set to be July 22, 2018. CineGouna Springboard is a project development and a co-production lab that provides opportunities to find creative and financial support for Arab film directors and producers with films in development or in post-production. For submissions, an online form along with the conditions of eligibility and participation have been announced in the detailed rules and regulations section which is available on the festival website: www.elgounafilmfestival.com. Commenting on this, El Gouna Film Festival Director Intishal Al Tamimi said: “During our inaugural edition last year, CineGouna Springboard received over 50 submissions. The selection committee noted that it was not an easy selection process due to the fact that so many of the submitted projects were of remarkable quality. This year we are looking forward to receiving submissions from the entire Arab world and we expect the selection process to be even harder than last year”. “CineGouna Platform plays a vital role in creating strong connections within the industry among filmmakers and helps their projects get the support they deserve, so that they may be completed. It offers a great hope for young filmmakers and all the worthy projects. 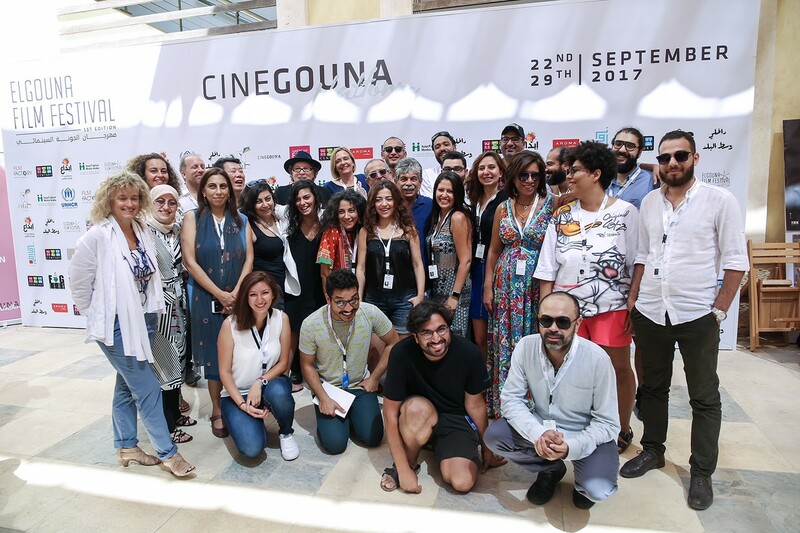 CineGouna Springboard affirmed its strong presence since its first edition. Many of our selected projects were chosen by prestigious festivals such as Counting Tiles by Cynthia Choucair from Lebanon which participated in the official competition of International Film Festival of Rotterdam, and Yomeddine by Abu Bakr Shawky which is nominated for the Palme d’Or in the 2018 Cannes Film Festival”, said El Gouna Film Festival co-founder and Chief Operating Officer Bushra Rozza..
During the second edition of the Gouna Film Festival, an International jury of film experts, invited by El Gouna Film Festival will decide the winners of the awards. The best project and film in post-production will receive a CineGouna Platform Certificate and a cash award of USD 15,000 each. Additional grants, funded by different institutions, are expected to join the CineGouna Platform. During the first edition the jury awarded a total of $60,000 to the selected projects. Following a remarkable first edition, that presented a high-quality line-up of 70 fiction, documentary and short films that entertained and challenged its audience, preparations are now underway for the second edition of El Gouna Film Festival that will take place from September 20 to 28, 2018 in the marvelous Egyptian Red Sea resort town of El Gouna. The pleasant location along with the activities planned promise to make the second edition an unmissable rendezvous for film professionals and film lovers from Egypt, the Arabic countries, and from all over the world. CineGouna Platform is the industry segment of El Gouna Film Festival created with the objective of nurturing and strengthening promising Egyptian and Arab cinema projects & filmmakers and to help them find artistic and financial support. CineGouna Springboard is a key component of CineGouna Platform.